Annual membership dues and tuition fees only cover about 45% of the acutal cost of Temple Israel's wide range of ritual, educational and social activities. Temple Israel depends on your support and to facilitate the act of Tzedakah, Temple Israel provides this on-line form that makes giving easy. You can elect to give a specific amount and then enter the funds to which you wish to donate to. If you wish to give to several funds, Temple Israel can split your donation evently to each fund you note or if you prefer, you can type a specific amount for each fund in the space provided. If you are generously donating in honor or in memory of someone, those honored will be promptly informed of your thoughtfulness. Once you have complete the on-line donation form with your credit card information, submit and your form will be electronically forwarded to Temple Israel. For your convenience, Temple Israel of New Rochelle now accepts MasterCard, Visa and American Express. 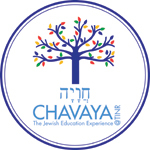 Each year Chavaya sells pizza, snacks, and drinks to students when they arrive at Temple Israel on Tuesdays and Thursdays between 3-3:45pm. This is both a fundraiser for Chavaya, and a benefit for our students. Many parents deposit “money on account” in the Chavaya office so their children do not have to remember to take money with them for snack. This is a convenient method for you to make those payments through Payquiq, our online banking system. We will monitor what your child spends and let you know when s/he is running low on funds so that you may redeposit to their account. In Support of Refugees: A subcommittee has been formed, devoted to working with HIAS (the Hebrew Immigrant Aid Society) and with other faith groups in New Rochelle and Westchester to welcome and support refugee families to our community. In Support of Refugees: IFCNAW devoted to working with HIAS (the Hebrew Immigrant Aid Society) continues to support the Ghafoor family and looks forward to bringing over a new family in the near future. Every month you have the opportunity to learn from experts in their field and each other: authors, musicians, professors, world travelers, clergy, and more. Our amazing team of teachers and teens help make Chavaya a vibrant and caring community. Please help us in thanking our Chavaya staff by participating in our Educator, Manheegeem and Madrichim appreciation gift collection. Please submit your donation on or before Friday, May 10th. We hope to receive 100% participation from our families! Sisterhood & The Edith H. Handelman Library are collaborating! Button Man, by Andrew Gross. This novel is a stirring tale of a Jewish family brought together at the dawn of the women's garment business an dtorn apart by the birth of organized crime set in NYC in the 1930's. MEET THE AUTHOR, ANDREW GROSS! No FEE. We just need to keep track of attendance. Donate to Temple Israel of New Rochelle and Camp Pinebrook! Social Action Committee Volunteering In Support of Refugees: A subcommittee has been formed, devoted to working with HIAS (the Hebrew Immigrant Aid Society) and with other faith groups in New Rochelle and Westchester to welcome and support refugee families to our community. ICNAW (Interfaith Council for New Americans Westchester): supported by TINR Social Action Committee In Support of Refugees: IFCNAW devoted to working with HIAS (the Hebrew Immigrant Aid Society) continues to support the Ghafoor family and looks forward to bringing over a new family in the near future. High Holiday 5779 Appeal I would like to contribute towards the "High Holiday 5779 Appeal" to help make sure all families at TINR are supported and remain connected to our community.